Finally, BSNL has announced the launch of its App based VoIP Calling 'Fixed Mobile Telephony (FMT) service' for its customers in all the circles. BSNL CMD Shri. Anupam Shrivastava, has just announced the launch of BSNL Fixed Mobile Telephony & Ditto TV services on his Facebook account. 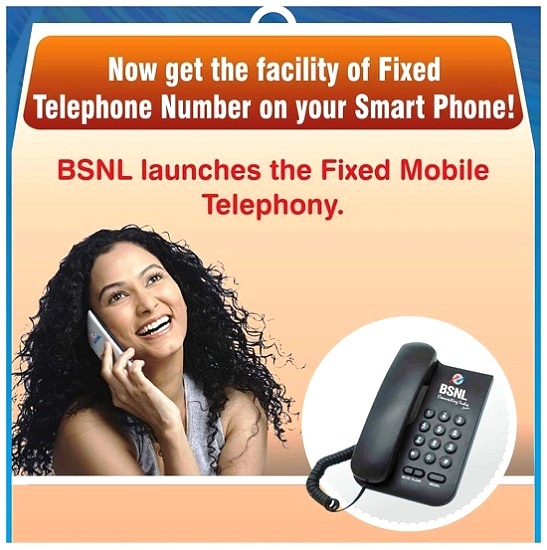 What is BSNL's Fixed Mobile Telephony (FMT) service ? It is App based calling service using BSNL Broadband WiFi. Now customers may get the facility of Fixed Telephone number on your smartphone. The service is available to all existing and new broadband / Combo customers in all the circles. As per the latest information, a separate telephone number will be provided to customers for this service. Customers may use his / her phone contacts and call logs. The service offers better Voice clarity where mobile signal is weak/poor. The latest Limited Fixed Mobile Telephony (LFMT) service is different from the contentious Fixed Mobile Telephony service it announced last year but was forced to put on hold following a vehement opposition from cellular operators. BSNL Chairman and Managing Director Anupam Shrivastava told - "The earlier service allowed customers on roaming in India and overseas to connect their landlines through mobile and make calls through them. But this service is restricted within the home premises." BSNL LFMT service (VoIP app) will virtually turns mobiles into cordless phone working in sync with landlines within home premises. To avail the service, customers will need BSNL's broadband connectivity and a smartphone / tablet. "With BSNL Light Fixed Mobile Telephony (LFMT) customers can avail the attractive landline tariffs of BSNL like free calls on Sundays and Unlimited Night time calling etc" - BSNL CMD added. Customers may download the app and with BSNL Broadband WiFi connectivity, customer can receive and also be able to make outgoing calls on his smartphone. This service is in no way linked with mobile operator service or customer SIM in mobile handset. The limited FMT service can be availed as add-on service and a separate telephone number will be provided to customer to avail this service. All other charges for Limited FMT services will be as applicable for basic landline service. What is BSNL's Ditto TV Service? 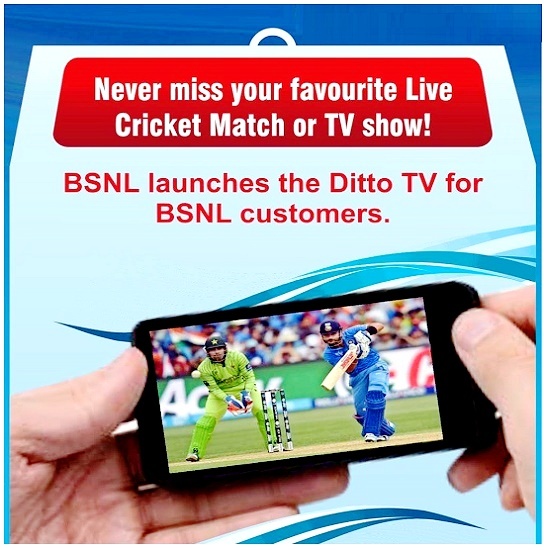 Now customers may watch Live TV shows, Cricket matches on your mobile, TV or Tablet. Customers may watch LIVE TV programs as well as programs of last 7 days. Multi-screen option is also available for both Android and iOS devices. Currently BSNL Ditto TV services offers 80+ channels. BSNL mobile users need to download Ditto TV app from the play store, install it on mobile, register and then start using the service, which is available on subscription basis at Rs 20 per month and is also bundled with Data Special Tariff Voucher for recharge of Rs 223. More details regarding, service activation procedure, app download link, tariff for Fixed Mobile Telephony (FMT) service etc are yet to be announced by BSNL. Stay tuned, we will update you all the necessary information about these two new services at the earliest. we also waiting . hope all things launch before 26th January. Kindly advice immediately that it will work all over the world or only on bsnl broadband network??? please advice very urgently.please answer bsnl team.if it will work all over the world on any network it will be a great success the bsnl had ever seen otherwise it will become a flop.